The keynote speakers at the Democratic National Convention — from first lady Michelle Obama to former President Bill Clinton — have earned high praise from local delegates. But President Barack Obama's address Wednesday might be the most anticipated speech of the convention, next to upcoming Hillary Clinton's acceptance speech, of course. Obama will have an opportunity to cement his legacy among his Democratic peers as he makes his final convention speech as a sitting president. Delegates from Pennsylvania and New Jersey arrived at the Wells Fargo Center with lofty expectations. 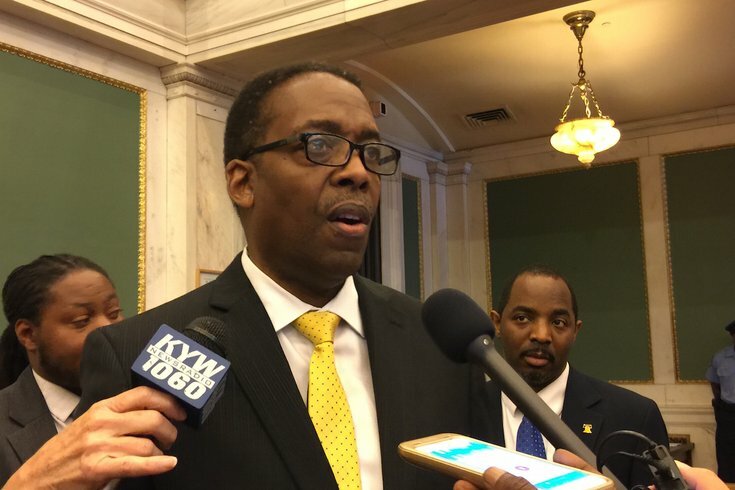 "I'm just really excited personally seeing him in this particular format one last time as an elected official," Philadelphia City Council President Darrell Clarke said. "People have been really excited about the lineup. To have him top it off before we nominate Hillary Clinton tomorrow – I don't know how much more ammunition you need." Obama's willingness to aggressively fight for the issues important to him left Clarke impressed. He credited Obama for putting forth a Supreme Court nominee, despite knowing Republicans were unlikely to act. "I'm going to miss him – I already miss him," Clarke said. "But I think Hillary is clearly the best person to take that mantle and move ahead with a very aggressive agenda." Obama will praise the "courage, optimism and ingenuity" of the American people while acknowledging the varied anxieties the country faces, according to a couple excerpts the White House released ahead of his address. "All that is real; we're challenged to do better; to be better," one excerpt read. "But as I've traveled this country, through all 50 states; as I've rejoiced with you and mourned with you, what I've also seen, more than anything, is what is right with America. I see people working hard and starting businesses; people teaching kids and serving our country. I see a younger generation full of energy and new ideas, unconstrained by what is, and ready to seize what ought to be." Like many of the keynote speakers that have preceded him, Obama will have an opportunity to help unite a party still struggling to come together following a competitive primary between Clinton and Bernie Sanders. Richard L. Trumka, president of the AFL-CIO, predicted Obama will live up to the task. "I hope he'll bring us all together – and I know he will," Trumka said. "He's had a history of bringing people together. He's had a tough fight against a determined Congress and Senate that wanted to do everything they could to stop him. He's been willing to come through there with grace. "I know tonight he's going to have a great message about changing the rules of the economy to make it better for working people." Trumka anticipates Obama will address the economy, praising his efforts to cut the unemployment rate and increase wages. "I think he's got to talk about the economy, because that's what's on every worker's mind out there," Trumka said. "The economy hasn't worked well for them. He's got to talk about how we're going to change the rules to make it work better for them." New Jersey Senate President Stephen M. Sweeney said the convention started "a little rocky," but he praised U.S. Sen. Cory Booker of New Jersey for laying the groundwork for a united party during his Monday night speech. He added that Bill Clinton continued a string of strong speeches Tuesday when he detailed the reasons he fell in love with Hillary. "You're going to hear someone who is as great, if not greater, in Barack Obama," Sweeney said. "I'm really excited. You're seeing some really amazing talent in the Democratic party that have vision. They're looking to go forward, not backward." Sweeney said he wants to hear Obama outline what the country can be – not what the "taking it back" message adopted by Republican Donald Trump. "When I hear that, I think what are they talking about?" Sweeney said. "They're talking about taking the country back in time to where it was an ugly day, where people didn't have the potentials they have. We want to talk about what can be for real - not the doom and gloom and fear the Republicans have instilled."